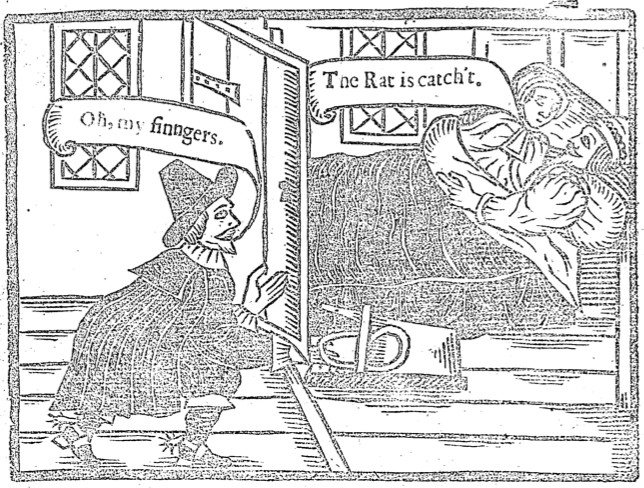 Satirical broadside by Humphrey Crouch 1647. Hugh Peters being a Peeping Tom has his hand caught in a mousetrap! Some cracking costume details, although the woodcut quality isn’t great. Spot the night cap and smock details on the couple in bed.